East End Social, home to the official Vogue Festival Wrap Party has today released their menu which features pops of pink, primped with style, worthy of a head shot. Hosted at Mother Vine, media, food bloggers and VIP’s alike were treated to a taste of what guests will enjoy at the inaugural day-time fashion street party in Adelaide’s East End. 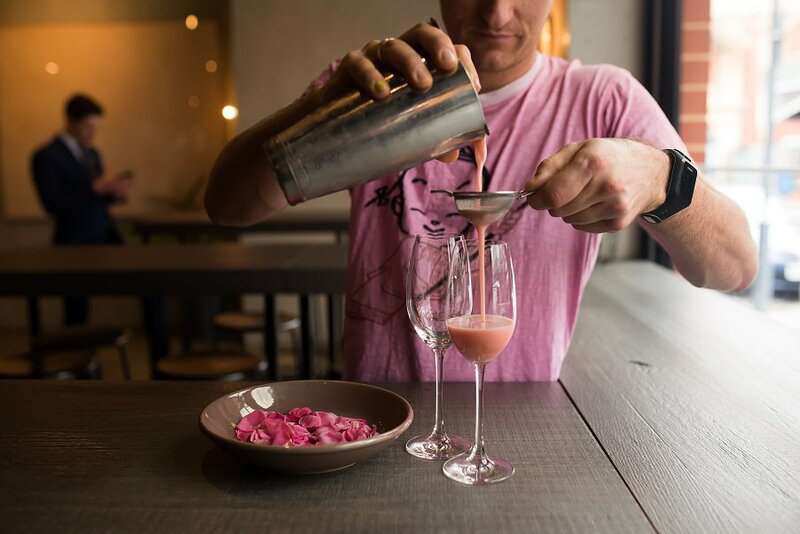 Created by Mother Vine, cook Adrian Bernadi said that he drew inspiration from the wonderful Spring produce available in South Australia and creatively worked with the Vogue Festival colour pink to develop the bespoke menu. “This event will be sophisticated and fun. 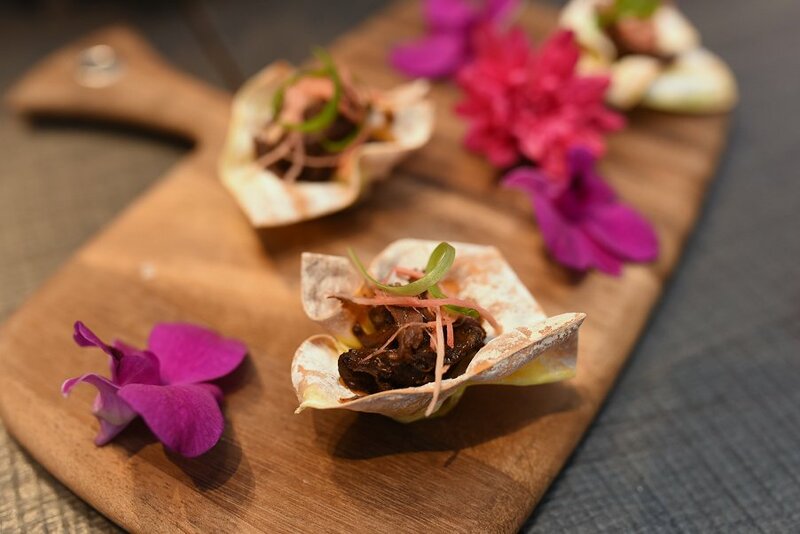 I wanted to create something complementary that was indulgent and had bursts of colour and delicious flavour for guests to enjoy,” he said. Adrian’s menu will be joined by a signature risotto by Frank Hannon Tan of Amalfi Ristorante – a restaurant that deserves institution status not only in the East End, but in across the metro region. Mother Vine, who recently won the 2017 Restaurant and Catering Awards for Excellence in the Wine Bar category has collaborated with East End Cellars to match delicious food with a great drinks line up that epitomises the East End’s thriving bar scene. 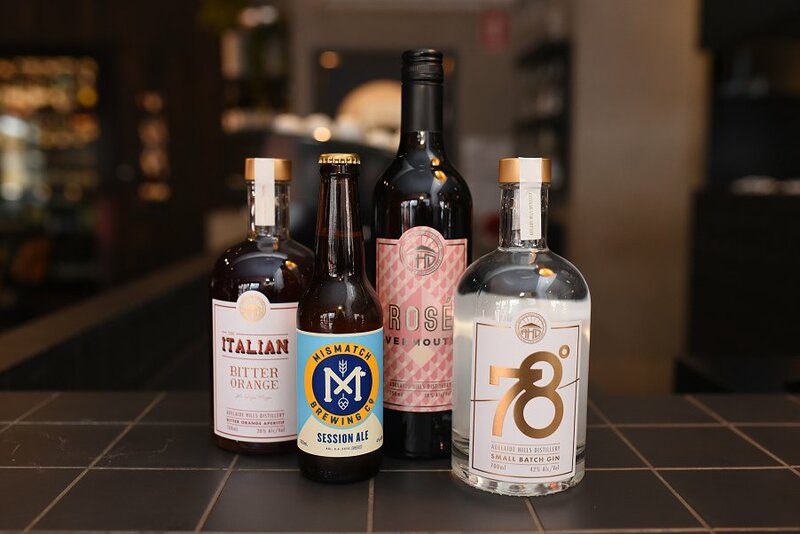 East End Cellars have partnered with Mismatch Brewing Co, Adelaide Hills Distillery, Alpha Box and Dice and Man of Spirit to provide a selection of wines and spirits to quench any thirst. Guests will enjoy a selection of fine wines, cider and beer, and can choose from various cocktails including the Italian Spritz and Adelaide Hills Gin & Tonic and even a whisky from the dedicated “Moonshine Bar”. East End Social is a Little Lion PR event and Director, Gabrielle Leonello said that the East End locals had demonstrated a wonderful sense of collaboration to make this event possible. “All produce and wines and spirits have been sourced from local traders, fashion is from the East End, and all operational suppliers are proudly South Australian. It is a wonderful marriage of all things local – retail, food, wine and SME businesses,” she said. With a street party atmosphere, East End Social will feature a runway show of ready to wear spring/summer trends from some of Australia’s most revered and illustrious labels that are trading in the East End. With limited spaces available, the event will be a unique fashion experience unlike anything available on the Adelaide Fashion Festival program and people are encouraged to get in quick to avoid disappointment. East End Social will be held on Saturday 14 October 2017, 1-5pm. Tickets cost $89 + GST & booking fee per person and can be purchased online at www.adelaidefashionfestival.com.au or directly at www.bitly.com/eastendsocialtix. Ticket includes a runway show, four hours of food and entertainment and two drinks on arrival. Events like this couldn’t happen without the support of generous Adelaide businesses. Our presenting partner Realm Adelaide, the city’s “most fashionable address,” is joined by East End Adelaide, Rundle Street East, The Maras Group, East End Cellars, Mother Vine, Novatech, Fotobase, Logic Films and the Brand SA iChooseSA campaign. This event joins the exciting new two-day Vogue Festival event presented by Vogue Australia in partnership with the City of Adelaide, Rundle Mall and South Australian Tourism Commission. Held on Friday 13 and Saturday 14, the Vogue Festival will take place in conjunction with this year’s highly anticipated Adelaide Fashion Festival. East End Social will be produced by Little Lion PR, the team that created the award winning Variety on King William event. Little Lion PR has extensive experience in the fashion, luxury and lifestyle sectors, and are thrilled to be working with Adelaide’s premium shopping precinct.